louise gluck. you’re killing me, so good. title poem from her new book. 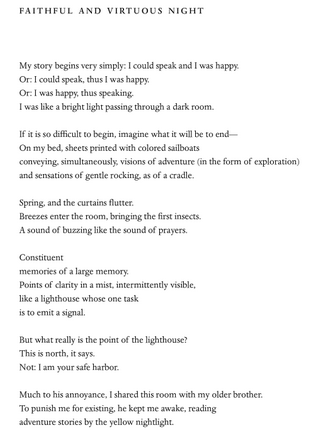 “But what really is the point of the lighthouse? This is north, it says.